From fishing boats to the fist cruisers, including a foray into dinghy sailing, BENETEAU has forged the reputation of being an innovative boatyard building extremely seaworthy boats. Prior to the Figaro-Bénéteau, the boatyard makes its debut in racing with the First class 8 . The best racers can now compete on an equal footing. 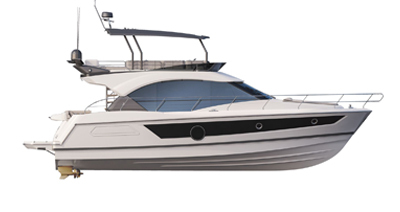 the boat is ideal for coastal fishing and sailing. that combine performance, style and ergonomics. tha improves its mechanical properties and longevity. The First 21° and the "7" series cotinue to be legendary in the world of regatta racing. remarkable reassurance in terms of safety. Once more the result of working with Moorings, the Oceanis Clipper stands out at the time for her level of comfort and an exceptional amount of living space inside. An affordable easy-to-sail range for perfect seaside holidays. A generation that takes a step forward from comfort to well-being. an international benchmark in cruising. Welcome to a world of incredible sensations. In the last forty years, BENETEAU’s legendary sport cruiser has carved out a special place in the hearts of experienced sailors. Made from high tech materials, light and sturdy, and fitted with excellent equipment, she can compete on any stretch of water. She is a must for competitive sailing. Sense revolutionises the very notion of travel, pushing the boundaries of the sailing yacht. An architectural feat of navigation, she combines an innovative and unusual deck plan with a low on water hull. When elegance, comfort and power come together, you have the makings of an exceptional adventure.